Here are 12 movies that I am super excited for next year! Yes, there are indeed more than these. I aim to watch as many on the premiere date as possible or close to it unless I die from Fangirl Overload before 2016 ends! I mean...Dude. A GAMBIT MOVIE. Harley Quinn, Deadpool...X-MEN which has the storyline I have been DYING to get moviewise since they started to release X-men movies. Alexander Skarsgård as Tarzan, omgosh have you seen the promo photos of him? BUCKY in Civil War...I just can not go on fangirling at this moment because I will explode! I mean god dayuuuum! 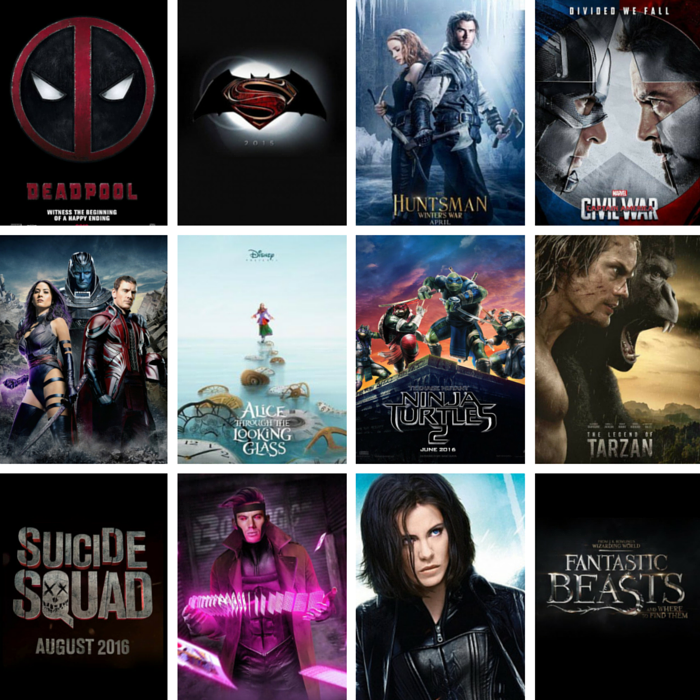 What Movies Are You Looking Forward To Year 2016? I can't decide what I think of Channing Tatum as Gambit, BUT I still will definitely be seeing it. There are SOOOO many good movies coming out next year!!! I'm so keen for these films too, especially Suicide Squad, Alice Through the Looking Glass and Fantastic Beasts and Where to Find Them!